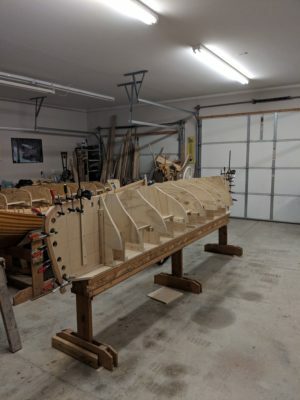 When I made the spars for my Caledonia yawl in 2005, I decided to lighten the largest of them by making them hollow and give the bird’s-mouth method a try. 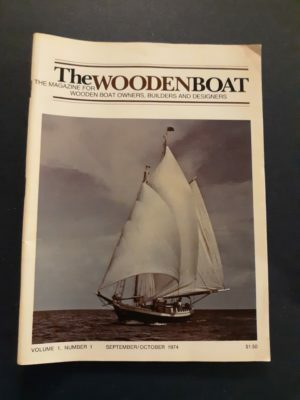 It was a lot of work milling eight staves for the two masts and the yard and the boom for the lug main spar, but I was pleased with the results. They were quite light, most notably the mainmast, which I had to lift high to slip though the foredeck—it was a cinch to step. 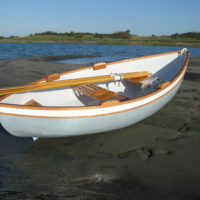 The Chaisson dory was designed a century ago as a tender, but it still has a lot to offer even if you don’t have a yacht to attach to the other end of its painter. 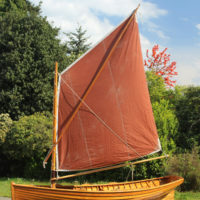 Iain Oughtred’s Arctic Tern is in the middle of the range of his popular double-ended beach cruisers that were inspired by the workboats of the Shetland Islands. 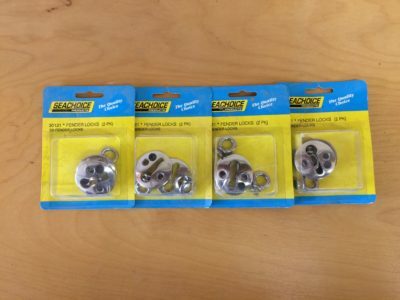 The sprit rig’s simplicity works well for boats that are frequently launched and recovered. 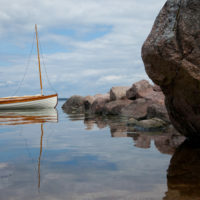 The Finnish coast is speckled with small forested islands rimmed with glacier-worn granite. 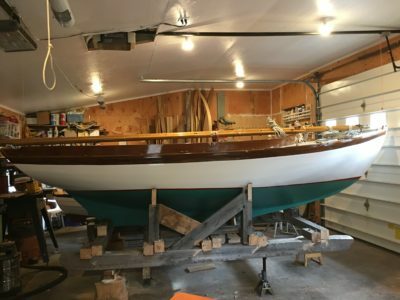 A modified Herreshoff Coquina is quite at home here, an ocean away from its native waters. Reader Sean Russel has been designing boats for a long time, at first drawing by hand and then using computer programs. Our Reader Built Boat is SWEET PEA, a peapod-like boat he designed and built to fit in his van. Make quick work of rounding corners without the noise of a router and the dust of a sander.